In recent years the world of superhero cinema seems to have been dominated by dark villains, complex plots, and radical theories; any humour is often lost amidst all the death and destruction. In this sense 'Shazam!' is a total breath of fresh air in the genre. With its lighthearted simplicity, DC's latest hero makes a compelling on-screen debut, reminding audiences of the childish delight which can be found in superhero stories. The film is moving, honest and, as a "family friendly comedy", it impressively hits the delicate balance of appealing to both adults and children alike. Zachary Levi is easily the best part of the entire feature; his relentless energy and humour in the role of the eponymous hero flawlessly drives the film's dynamic comedy. Even when exploring the more serious elements of the story, the film does not lose its joyful and humorous heart, thanks to Levi's impeccable performance. 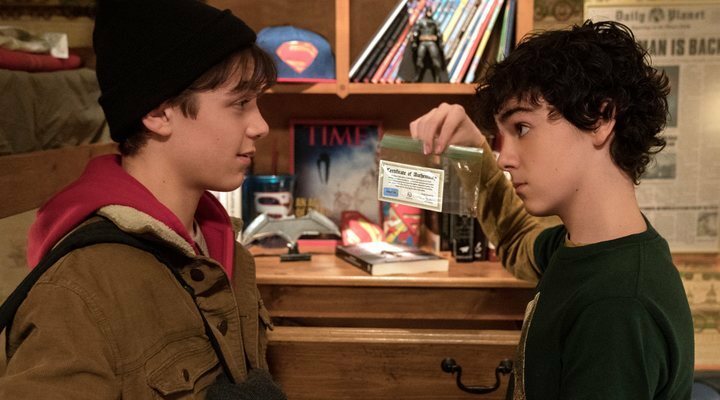 One of the most interesting aspects of the story comes from the fact that said superhero is nothing but fourteen year old Billy Batson (Asher Angel). Billy is still struggling to find his place in the world, running from various foster homes in a fruitless and heart-wrenching search for his birth mother, when he unwittingly has incredible power thrust upon him by the ancient wizard Shazam, transforming into the powerful hero when he utters the magic word. With this sudden burden of power, we see the teenager's vulnerability and Levi conveys this youthful innocence flawlessly. Levi's inner child shines through in the role, portraying the genuine insecurities of a realistic teenage boy whose instinct is to shy away from danger and responsibility. As well as making for a funny gag throughout the film, the idea of a teenage superhero in an adult world adds an interesting dynamic; Billy finally has the independence he craved, but with it he is forced to make critical decisions and confront mortal danger. Levi and Angel transform seamlessly from one to the other, maintaining the credibility of the character. Together they create a genuine and endearing hero through the eyes of whom we are able to enjoy the awesomeness of a superhero's power with youthful excitement and glee. We cannot discuss the childish nature of the hero without addressing his costume: the bright red unitard, white flowing cape, and lightning bolt design on the chest seems to have come straight from a child's imagination, yet this appears to be the whole intention. Although Shazam's exaggerated appearance undeniably plays into every superhero stereotype, this is part of the hero's innocent appeal. While the outward appearance of the hero plays in to every one of the audience's expectations, these expectations are subverted by the immaturity of the child inside the hero's body. The exterior might be a bit much to take in at first, but somehow it works (mostly thanks to Levi). If Levi's performance as the near-invincible superhero is one of the most compelling and humorous aspects of the film, at least as much has to be said for Jack Dylan Grazer in the role of Billy's nerdy foster brother. Although at first Freddie Freeman is brushed off by Billy, the two end up forming a close bond when Freddie, an obsessed comic book fan, becomes the ultimate superhero's companion and mentor to his clueless foster brother. The chemistry between Grazer and Levi is fantastic. The two bicker like siblings, yet the love at the root of their friendship adds an heartfelt element to their storyline, making a refreshing change from the usual romantic love plot which underpins most superheroes' stories. While it is easy to fall for the effortless charm of Levi's charismatic hero, finding a villain to equal the hero is always a hit or miss. 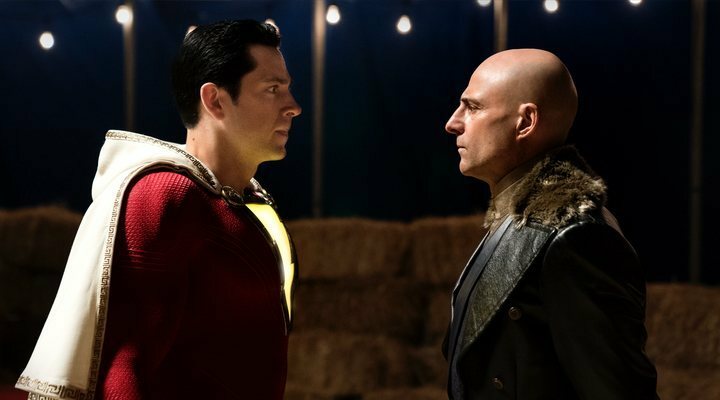 Although Mark Strong is wonderful (as always) in his role as the evil Dr. Sirvana, a man consumed by jealousy and greed for power, he can only do so much within the constraints of an underwritten script. While it is interesting to see the villain's backstory in the very opening scene, which gives the audience the chance to empathise with the young Sirvana, this scene only serves to add some degree of dimension to an otherwise unimaginative cliché. Furthermore, unfortunately the addition of the Seven Deadly Sins is one of the film's biggest downfalls. The CGI used to create these monsters is poor at best, and the characters' design is so silly that they never appear to be the demonic threats which they had the potential to become. While the personification of the mortal sins could have been an extremely interesting concept had the creatures vaguely resembled the vice they represent, as it is they are indistinguishable and almost laughable at times, which is disappointing to see from a director (David F. Sandberg) whose experience is so rooted in the genre of horror. Despite the disappointing villains, this threat is never the main issue for Billy to overcome; instead the main focus is on his journey towards self-love and accepting the love of his foster family. When he suddenly receives a caring home with five foster siblings under the care of Rosa and Victor Vasquez (Marta Milans and Cooper Andrews), Billy initially rejects their help, furiously searching for independence. Rather than triumphing through his defeat of Sirvana, the hero's true win is coming to accept the love of this adopted family. The family dynamic is compelling (if somewhat cheesy) and characters such as little Darla (Faithe Herman) could melt the coldest of hearts. Although the family's storyline is rather predictable and cheesy, it is no less heartwarming to see the relationships grow and to appreciate the way in which the characters evolve. From the villains and the super-suit, to the cheesy family plot, clichés are indeed slightly overdone in the film. While this does not detract for its overall enjoyable nature, it would have been nice to see a little more self-aware comedy regarding the stereotypes into which it knowing plays. Had the humour been a little more daring this also would have done well to combat some of the more trite elements of the story. 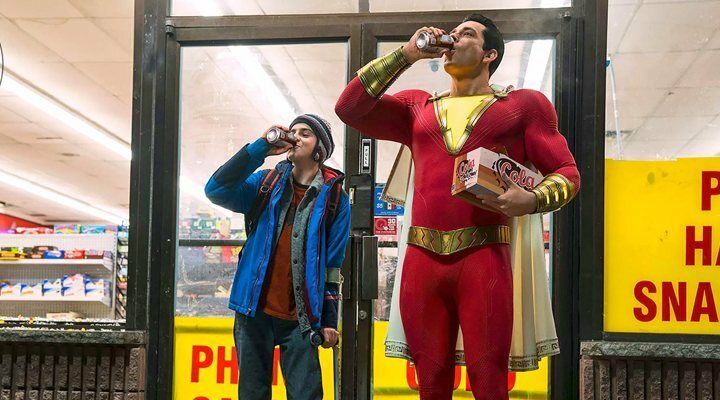 The ending is also predictably cheesy; however it provides a pleasantly satisfying closure to the story and has an exciting twist which hints towards 'Shazam! 's potential future. Overall its innocent charm and relentless energy makes for an entertaining, funny, and warming feature. While 'Shazam!' cannot be hailed as a revolutionary phenomenon, it makes for an entertaining few hours, which will genuinely appeal to all members of the family. The Best: Zachary Levi and the energetic comedy. The Worst: The unimaginative villains and overuse of clichés.